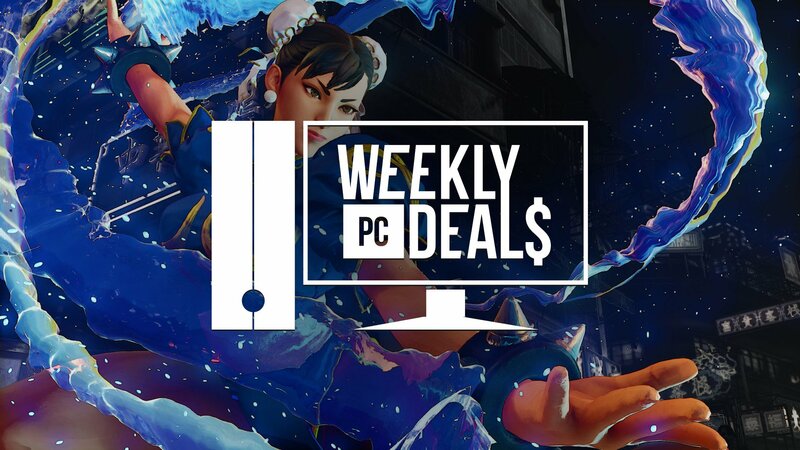 Some of the best games come from Japan and Steam is looking to celebrate with discounts on Street Fighter V and the best of Sega Japan. Japan is responsible for some of the world's best games, a handful of which come from Sega. Steam is celebrating the best of Japanese games, starting with Capcom's Street Fighter V: Arcade Edition. From there, shoppers can find a full sale on everything from Sega Japan, including Bayonetta, Puyo Puyo Tetris, and more. Elsewhere, there isn't too much to get excited about, with many retailers ceding to the Red Dead Redemption phenomenon on consoles. But Alan Wake is leading a parade of Halloween sales across multiple storefronts. And for those looking to dress up as their favorite Star Wars character, get in the mood by picking up the best PC Star Wars games over on Fanatical. Use the promo code SCREAM666 to receive an additional 6.66% off of your purchase. Restrictions apply. Pay $8.99 and receive Star Wars: The Force Unleashed Ultimate Sith Edition, Star Wars Jedi Knight: Jedi Academy, Star Wars Jedi Knight II: Jedi Outcast, Star Wars Knights of the Old Republic, and Star Wars Knights of the Old Republic II. These games activate on Steam. Or pay $3.49 Star Wars: Knights of the Old Republic and Star Wars: Knights of the Old Republic II. These activate on Steam. Or pay $44.99 for Call of Duty: Modern Warfare 3 and all of its DLC. These activate on Steam. Find the full list of games featured in Fanatical's Scream Sale. Find the full list of games featured in GamersGate's Halloween Sale. Use the code 666 to save an additional 15% off of your purchase. Restructions apply. Green Man Gaming is holding its Halloween Sale. Look for new 12 and 24 hour Flash Deals everyday through November 1. Subscribe to Humble Monthly for $12 and receive Hollow Knight, Hitman GOTY Edition, and 7 Days to Die, with more games added every month. These game activate on Steam. Pay $1 or more for Scribblenauts Unlimited, Middle-earth: Shadow of Mordor GOTY Edition, and Batman: Arkham Origins. Pay more than the average $4.12 to get Bastion, Mad Max, Injustice: Gods Among Us Ultimate Edition, and 10% off purchase of LEGO The Incredibles from the Humble Store. Pay $12 or more to also receive Batman: Arkham Knight and the Batman: Arkham Knight Season Pass. These games activate on Steam. Prepare for war. Find the full list of games featured in the Humble Store's Total War Sale. Stay positive and find the full list of games featured in the Humble Store's Very Positive Sale. Find all of the games featured in the Steam Sega Japan Sale. Find the full list of games featured in the Steam Deep Silver Publisher Sale.